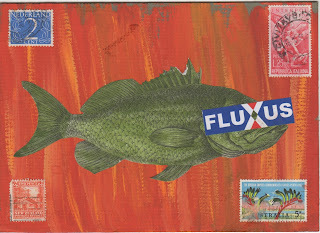 The Postal Ledger: Fluxus Fish from Mars Tokyo! So excited (and a little daunted) to receive another beautiful, exciting card from Mars Tokyo, this time clearly labeled FLUXUS, in case I'm not sure this time! 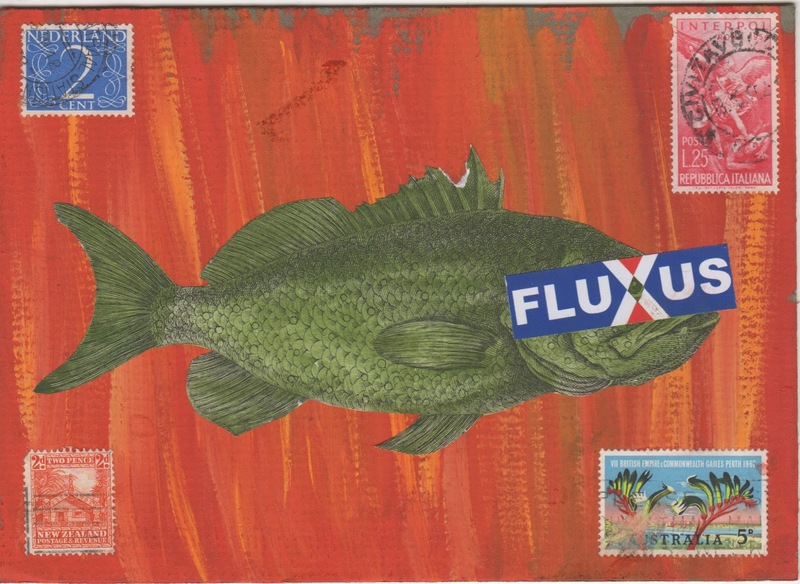 And you know, the repetition of colour, the humorous X over the eye, the balance are flux with an aesthetic eye. 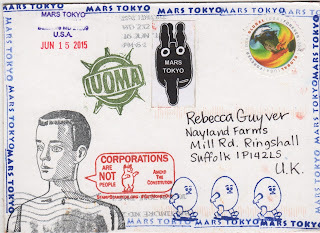 I am so far behind, I have never caught up this year but Mars Tokyo, you are on the top of my list. Many thanks!